Tungsten carbide hardfacing has the highest level of abrasion resistance available. The high level of abrasion resistance is offset by lower impact resistance than other types of hardfacing. Alloys International are able to provide advise on the correct material for your application. We stock a large range of different types of material, including MIG wire, open arc wire, electrodes, TIG rods (GTAW) and Laser and PTAW powders at our warehouses in Melbourne, Perth and Queensland. AI-0760T-TDS AI-0760T is a tubular electrode offering the optimum abrasion resistance. Alloy contains Cast tungsten carbide in granular form in an iron matrix. The coating on the covered electrodes is moisture resistant. Deposits contain carbides 2200 HV. The deposits cannot be drilled or machined. Finish by grinding only if required. Due to exceptional hardness relief check cracking is normal. A controlled fume low dilution product. Magnetic. AI-0760T may be applied direct to plain and low carbon steels. AI-0770E-TDS AI-0770E is a tubular, basic type coated electrode offering optimum abrasion resistance. This electrode is unique in that it is manufactured around a sintered tungsten carbide core (similar in structure to a TIG tungsten). This method of fabrication allows a much higher percentage of tungsten carbide in the weld deposit than conventional solid cored or tubular electrodes, resulting in its exceptional abrasion resistance. In addition to the high percentage of tungsten carbide there is an addition of Chromium and Niobium Carbides to add to the corrosion and abrasion resistance. Applications include: Scrapers, Augers, Mixers and parts subjected to very high abrasion. Also Oil Drill Collars, Stabilizers etc. in the oil drilling industry. AI-0779E-TDS AI-0779E is a manual electrode filled with ultra-hard fused tungsten carbide particles and a special nickel, chrome, boron matrix. The alloy is specially designed for applications involving extreme abrasion and erosion in combination with corrosion. The matrix material is highly resistant to acids, lyes and other corrosive media. AI-0779E can be overlaid onto mild steels, low alloys steels, steel castings, nickel based and stainless alloys. Applications include: Drilling Stabilisers, Conveyor Screws, Scrapers, Mill Plates, Mixer Blades, Drilling Tools etc. AI-0776-TDS AI-0776 is an alloy comprising cast tungsten carbide particles in a Nickel Silver matrix, which is applied by the Oxy-Acetylene Brazing method. AI-0776 provides excellent wear resistance to high stress abrasion in components operating at high pressures. AI-0776 is easily applied using conventional equipment. The Nickel Silver matrix melts easily (melting temperature approximately 850°C) and the Tungsten Carbide particles are evenly dispersed in a homogeneous weld deposit. AI-0777-TDS AI-0777 is an alloy comprising cast tungsten carbide particles in a Nickel Silver matrix, which is applied by the Oxy-Acetylene Brazing method. AI-0777 provides the maximum wear resistance to high stress abrasion in components operating at high pressures. AI-0777 is easily applied using conventional equipment. The Nickel Silver matrix melts easily (melting temperature approximately 850°C) and the Tungsten Carbide particles are evenly dispersed in a homogeneous weld deposit. Applications include: Developed initially for stabiliser applications in the drilling industry many other applications have been found for this product. AI-0779B-TDS AI-0779B is a tubular oxy-acetylene surfacing rod, filled with ultra-hard fused cast tungsten carbide particles and a special nickel, chrome, boron matrix. The fused cast tungsten carbide particles are produced with a new and unique patented melting process, which makes them the most wear resistant tungsten carbides available today. The fused cast carbides exhibit an extremely fine acicular, needle like structure (as high as 95%) and a very constant hardness, yet are more ductile than crushed cast carbide or mono-crystalline carbide. The hardness is up to 33% higher than any other carbide and bulk density is 10-20% higher. The above features result in a product, which provides significant increases in wear resistance of the welded deposit. The alloy is specially designed for applications involving extreme abrasion and erosion in combination with corrosion. The matrix material is highly resistant to acids, lyes and other corrosive media. AI-0779B can be overlaid onto mild steels, low alloys steels, steel castings, nickel based and stainless alloys. Applications include: Drilling Stabilisers, Conveyor Screws, Augers, Scrapers, Mill Plates, Mixer Blades, Drilling Tools, Tillage Points, Ground Engaging Tools etc. AI-0779SP-TDS AI-0779SP is a tubular oxy-acetylene surfacing rod, filled with ultra-hard spherical cast tungsten carbide particles and a special nickel, chrome, boron matrix. The spherical cast tungsten carbide particles are produced with a new and unique patented melting process, which makes them the most wear resistant tungsten carbides available today. AI-0779SP can be overlaid onto mild steels, low alloys steels, steel castings, nickel based and stainless alloys. AI-0799-TDS AI-0799 is an alloy comprising a macroscopic heterogenous deposit consisting of cast tungsten carbide particles in matrix of Ni, Cr, B, and Si. The matrix comprises a nickel base solid solution with a fine boride dispersion and a small number of carbides in an interdendritic network. AI-0799 provides the ultimate in wear resistance to high stress, fine particle abrasion on components operating at high pressures, with some temperature and corrosion. AI-0799 is applied by the Oxy-Acetylene process as the lower application temperature results in less disolution of the Carbides than an arc process. A major advantage of AI-0799 (apart from its excellent abrasion resistance) is that once it is applied to a component and that component is removed from service AI-0799 can be re-applied over the top of the remaining deposit to touch up areas of wear, thus significantly reducing the cost of re-surfacing. This is a major benefit over other types of hardfacing where, in most cases, the old material has to be completely removed. AI-0799SP-TDS AI-0799SP is a flexible oxy-acetylene surfacing rod, combining ultra-hard spherical cast tungsten carbide particles and a special nickel, chrome, boron matrix. AI-0799SP can be overlaid onto mild steels, low alloys steels, steel castings, nickel based and stainless alloys. AI-0799SP70-TDS AI-0799SP70 is an alloy specially developed and released in 1998 after successful field trials to combat the combined effects of fine particle abrasion and erosion as experienced in the mineral sands industry and other areas where wet slurries are pumped. The unique qualities of this product lie in the high concentration (70% by weight) and sizing of cast tungsten carbide grains. A carefully blended mix of Coarse, Medium and Fine carbides work together to offer good impact resistance and large particle abrasion resistance from the coarse carbides, a hard matrix and protection from fine particle abrasion from the fine carbides and a balance between the two offered by the medium carbides. AI-0799SP70 provides the ultimate in wear resistance to fine particle abrasion combined with some impact. It is applied by the Oxy-Acetylene process. The lower application temperature results in less dissolution of the Carbides than an arc process. Applications include: can be re-applied over the top of an existing deposit to touch up areas of wear, thus significantly reducing the cost of re-surfacing. This is a major benefit over other types of hardfacing where, in most cases, the old material has to be completely removed. AI-1772-TDS AI-1772 is a tubular wire specially manufactured by a process that enables a high volume of tungsten carbide particles to be encased in a specially designed steel sheath. Applications include: Oil drill collars, scrapers, Augers and parts subjected to high stress abrasion. 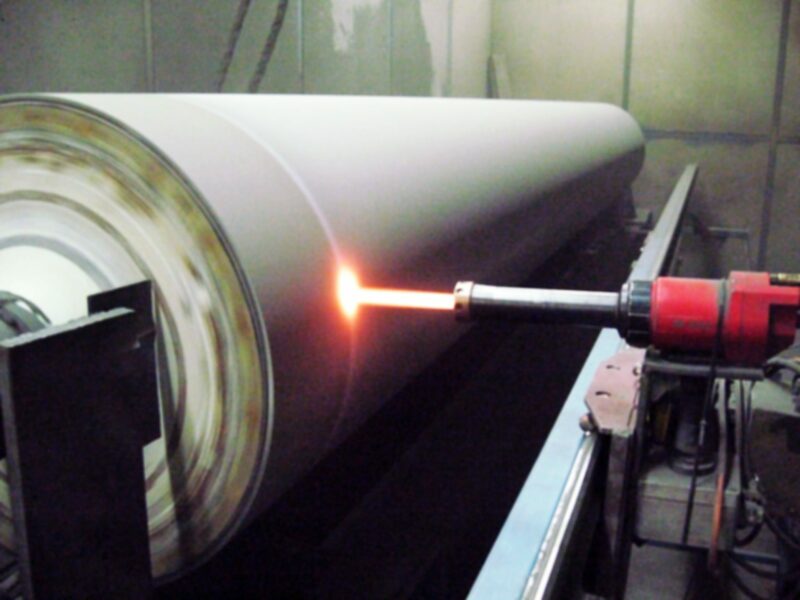 AI-1772 can be applied to cast steels, irons and low alloy steels. AI-1779C-TDS AI-1779C refers to a flux cored nickel wire filled with Fused Tungsten Carbide (FTC) granules set within a Nickel matrix including elements of Chrome, Boron and Silicon and is designed for semi-automatic welding. AI-1779C is a special alloy for the protection of wear surfaces against extreme abrasion combined with high corrosion. Applications: AI-1779C is designed for welding on all types of steel and for hardfacing cast iron and for repairing oil tools such as stabilizers, openers, gauge bars etc. AI-1779C can be replaced by AI-1541VC in applications where austenitic and heat sensitive castings are concerned. AI-1779C is recommended for all applications in the petroleum industry, mining industry, geothermal industry, minerals processing, food processing and other high abrasion / high corrosion areas. 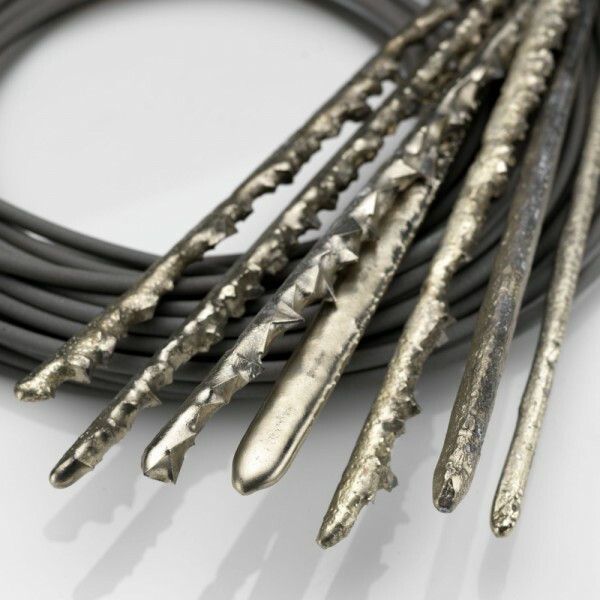 AI-1779VC-TDS AI-1779VC refers to a flux cored nickel wire filled with Fused Tungsten Carbide (FTC) granules set within a Nickel matrix including elements of Chrome, Boron, Silicon and ultra-hard (3000HV0.1) refractory carbides. It is designed for semi-automatic welding. AI-1779VC is a special alloy for the protection of wear surfaces against extreme abrasion combined with high corrosion. Applications: AI-0779VC is designed for welding on all types of steel and for hardfacing cast iron and for repairing oil tools such as stabilizers, openers, gauge bars etc. AI-1779VC can be replaced by AI-1542VC in applications where low magnetic porosity is required. AI-1779VC is recommended for all applications in petroleum drilling, mining, geothermal, minerals processing, brick & tile making, food processing and other high abrasion / high corrosion areas. AI-0710TC-TDS Sintered tungsten carbide parts are made from very fine tungsten carbide and cobalt powders which have been well blended and ball milled. The powder is pressed to the desired part configuration and vacuum sintered. The finished parts exhibit an excellent combination of hardness, strength and wear resistance. Applications Include: Geophysical Drill Bits, Rock Bit Gage Inserts, Mining Tool Bits, Stabilizers and Reamers, Earth Auger Teeth, Stump Cutters, Percussion Drill Bits & Various Mining Tool. AI-0711TC-TDS Tungsten Carbide Cobalt Pellets are made from very fine tungsten carbide and cobalt powders which have been thoroughly blended and ball milled. The powder is pelletized to the required mesh size and sintered. The resultant pellets exhibit an excellent combination or hardness, strength and wear resistance. Applications include: Hardfacing oilfield tools. Hardfacing mining tools. Hardbanding tool joints. AI-0712TC-TDS Crushed Sintered Tungsten Carbide Cobalt is made from very fine tungsten carbide and cobalt powders which have been thoroughly blended and ball milled. The powder is sintered and crushed to the required mesh size. The resultant particles exhibit an excellent combination or hardness, strength and wear resistance. Applications include: Hardfacing oilfield tools, hardfacing mining tools, hardbanding tool joints, and hardbanding drill collars. AI-0720TC-TDS Cast tungsten carbide is a very hard, abrasion resistant metal alloy, produced by melting tungsten in the presence of carbon. Generally, the material is poured into ingot form, crushed into irregular particle shapes and subsequently screened into various U.S. Standard Sieve Sizes. Applications include: Diamond drill bit matrices, blends with other metal alloys for hardfacing applications, fabrication of Tungsten Carbide tube rods and automatic welding wires, Hardbanding of drill collars and tool joints and hardfacing of rock bits. AI-0730-TDS Chromium carbide nickel-chromium pellets are made from very fine chromium carbide and nickel-chromium powders, which have been well blended and ball milled. The powder is pelletized to the required mesh size and sintered. The resultant pellets exhibit an excellent combination of hardness, strength and wear resistance. Applications include: Typical applications include: hardfacing oilfield tools, hardfacing mining tools, hardfacing tool joints, and hardfacing drill collars.